Business tycoon Tom Brand (Kevin Spacey) is a very busy man. But when he’s too busy to remember his 11-year-old daughter’s birthday party, he needs to get the BEST present in the world if he’s going to make it up to her. However, when his trip to a mysterious pet shop results in him trapped inside a cat’s body, he soon realises that making amends isn’t going to be easy. 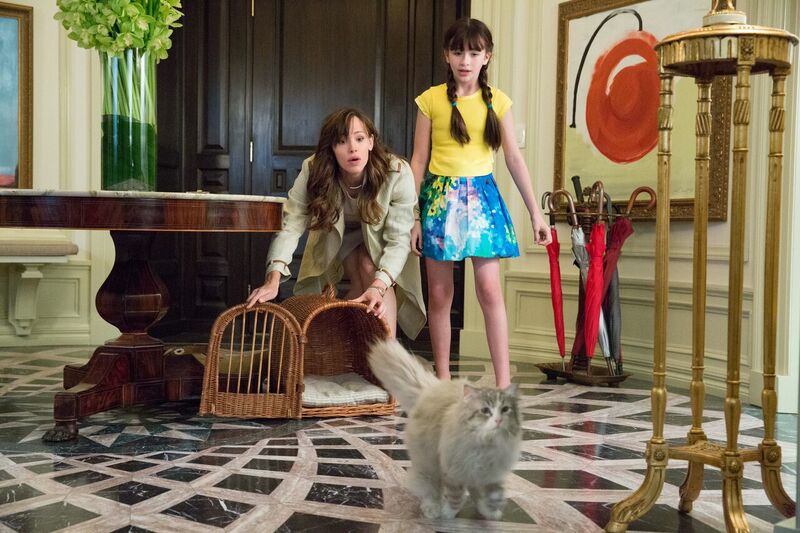 ‘Nine Lives’, starring Kevin Spacey and Jennifer Garner, opens in theatres in Canada on Friday, August 5. But to celebrate the launch, Urban Moms is giving away FREE tickets to a sneak peek of the movie on Saturday 30th July. Screenings will be at 10 am (Toronto, Montreal and Ottawa EDT; Edmonton and Calgary MDT) in all cities, except Vancouver (10.30 am PDT). For your chance to win tickets for you and your family, fill in the form below to enter—be sure to enter your city so we know which theatre you’d like to attend the movie at! Contest closes on Thursday 28 July at 12.00pm. I would love to win tickets to the toronto show.